On November 12 2017, Symetal participated in the 35th “Athens Marathon. The Authentic” with two running teams (5km and 10km races). It is the first time that Symetal ran for a good cause, aiming to promote commitment to a goal and involvement in sports, not just as a way of life but also as a means of social unity. In this framework, the Company supported the social work of the NGO “Make a Wish Greece”. Under the Athenian sun, the event was also a great opportunity for the people of Symetal, who work together and deal with the pressure of everyday life, to meet each other out of the workplace, spend moments of carelessness and experience intense emotions. The “Athens Marathon. The Authentic” is one of the most significant sport, cultural and social events hosted in the city of Athens over the last years. This year, more than 50,000 runners of all ages participated in the various races, creating a huge festivity from Marathon city to the Panathenaic Stadium, making Athens again the capital of the World. 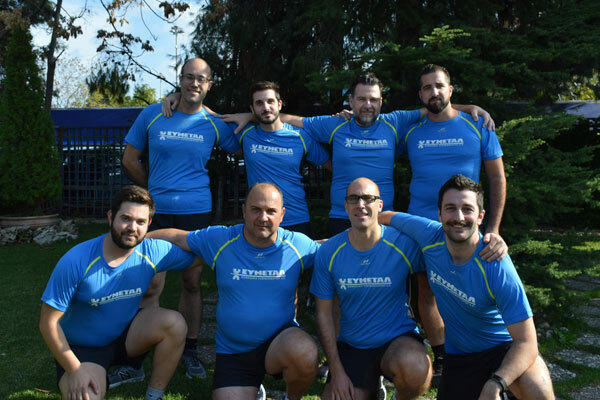 The Symetal family feels particularly proud of its participation in this unique athletic and social event, as it highlights the Company’s eagerness for continuous improvement both at a personal and at a team level.